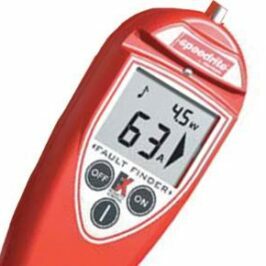 The ultimate troubleshooter, the Fault Finder pinpoints problems in electric fencing quickly and easily, whatever wire type or fence energiser you use. Simultaneously measuring current and voltage, it follows the flow visually and audibly to any one of a series of faults. An essential tool for busy farmers or fence contractors.